 The pressure-sensitive insoles measure the direct interaction between your feet and the ground.  The footpods accurately track the movement of your body. 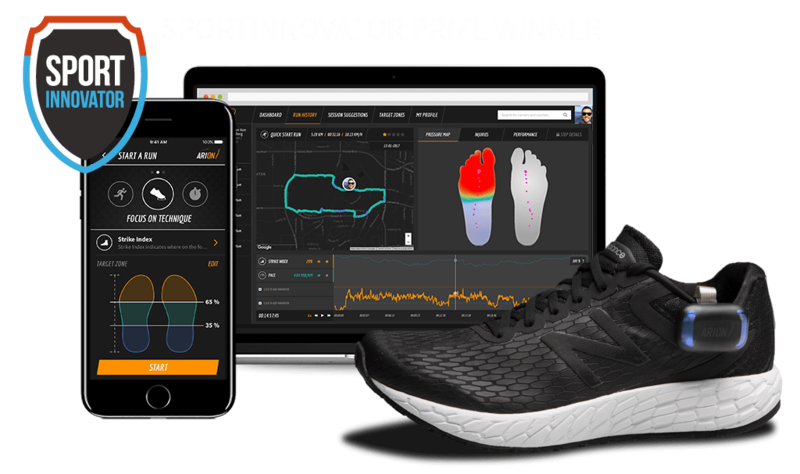 Combined with the ARION app it connects you to your running technique that wasn’t possible before, to ultimately run faster, longer and safer.  The smart, flexible and ultra-thin ARION insoles slip neatly under your existing running shoe insoles. ARION footpods are rugged, waterproof and sit unnoticed at the side of your running shoe while accurately measuring the movement of your body. 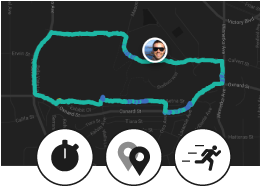 Mapping, pace, duration and distance are available through the free app, even without the ARION wearable.  Gain insight into the length of your steps, and understand how changes affect your cadence and pace. See which foot you use the most.  Being imbalanced could indicate injury, pain or poor function.  Stability indicates how stable the foot is when touching the ground. Stability can be correlated with injury risk. Flight time refers to the time your feet remain in the air in between steps.  Connect your heart rate monitor and track how hard you are working as you develop your running technique.  We’re able to update ARION to add more metrics, meaning your ARION will evolve the longer you own it. The free ARION app keeps track of your route, pace, speed, duration and distance. 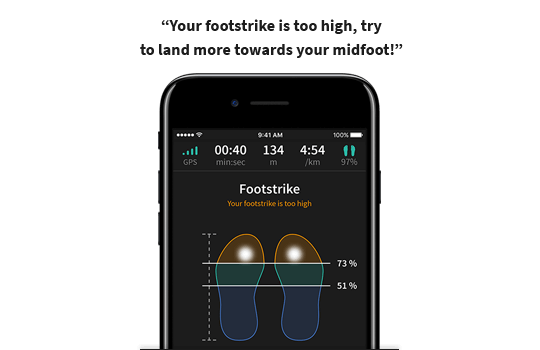 Add the ARION wearable for a complete mobile gait analysis and to measure even more metrics like footstrike, step length, cadence, and many more. Find more information in these FAQs or shoot us an email at support@ato-gear.com. Your order is expected to ship March 2019. You’ll receive an email including a tracking code to track your shipment. Our current production batch is sold out and we’re working on our next production batch which will ship out to our customers in Q1 2019. 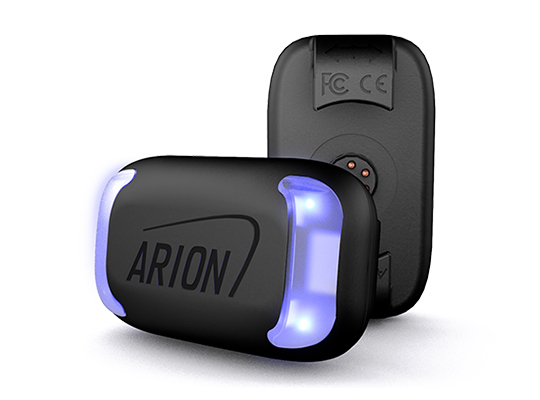 ARION comes with two smart insoles, two footpods, a charger and manual. The ARION app can be downloaded for free on iOS and Android.  The ARION smart insoles measure the interaction between your feet and the ground. Its coaching AI will help you towards an improved running technique. Learn more on how ARION works. ARION is future-proofed with electronics and sensors, which we’re able to utilize further with free software upgrades through the ARION app.